County records indicate that school classes were held in the Laveen area as early as 1884 in the homes of early Mexican and Mormon settlers. School District No. 59, originally known as the Harovitz District, was formally created on August 8, 1908. The location of the first school is given as one-eighth mile south of Southern Avenue on 67th Avenue. In 1913, Walter Laveen donated land on the south side of Dobbins Road east of 51st Avenue for a new school. On September 30, 1913, the school was officially named Laveen Elementary School. 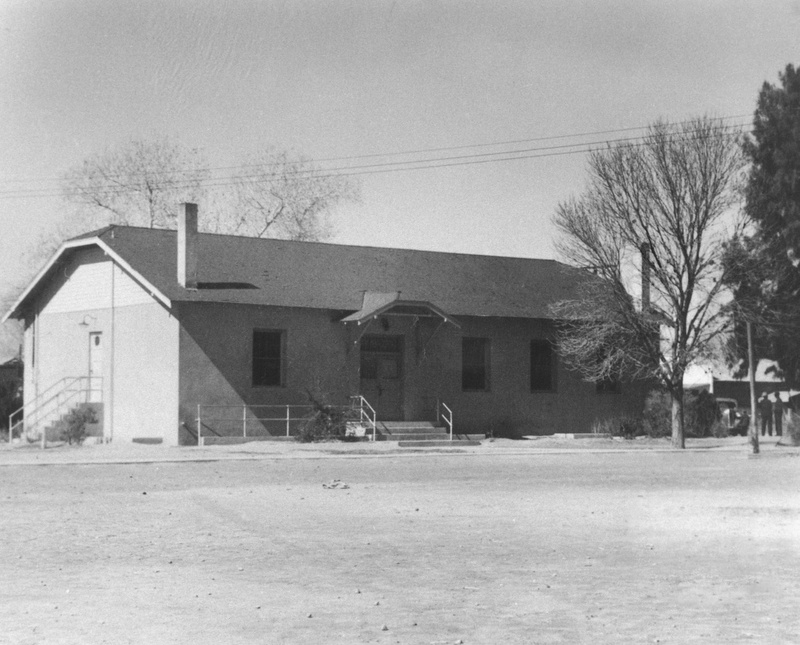 One of the early school buildings still remains at the original Laveen School site on Dobbins Road east of 51st Avenue. This building, the Laveen School Auditorium, commonly referred to as “Building A,” is on the National Register of Historic Places. It was first constructed as the Laveen Women’s Club Hall and used for club meetings, dances, plays, and community gatherings. In 1940 the building was donated to the school and, with financial assistance from the Work Projects Administration (WPA), was dismantled from its original location and moved about a quarter mile east to the school property where it was placed over a basement dug for that purpose and rebuilt with adobe walls. Once reconstructed on the Laveen School campus, it was used as a cafeteria, as well as for home economics and shop classes. After 1988, the building was retired from active educational use. It is now used as meeting space for community organizations. Laveen was a one-school district until the opening of Maurice C. Cash School in the early 1960’s, which was built on land donated by Mr. Cash, a Laveen farmer. Vista del Sur, the district’s third school, opened in 1998. The Laveen area began to experience substantial residential development in the early 2000’s with the result of dramatic increases in student enrollment. Four more schools were subsequently built between 2002 and 2012.